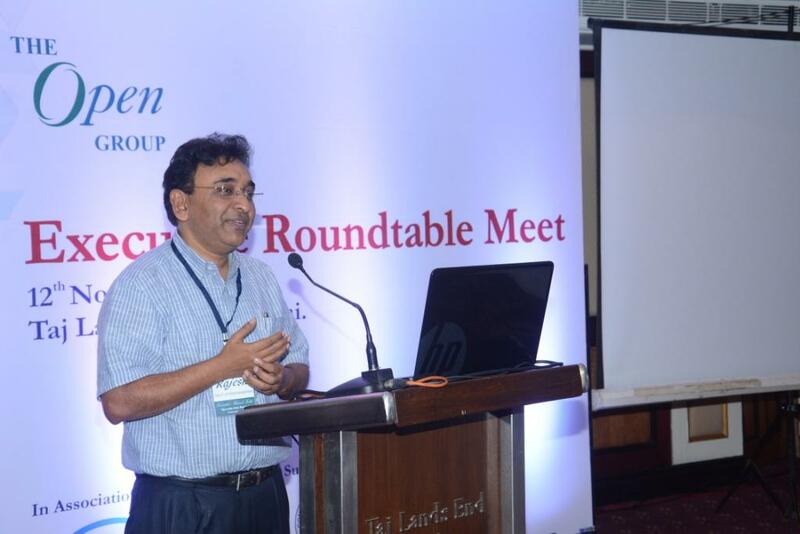 The Open Group organized the Executive Round Table Event at Taj Lands End in Mumbai on November 12, 2014. The goal was to brief industry executives on how The Open Group can help in promoting Enterprise Architecture within the organization, and how it helps to stay relevant to the Indianized context in realizing and bringing in positive change. Executives from the Government of Maharastra, Reserve Bank of India, NSDL, Indian Naval Service, SVC Bank, Vodafone, SVC Bank, SP Jain Institute, Welingkar Institute of Management, VSIT,Media Lab Asia, Association of Enterprise Architects (AEA), Computer Society of India and others were present. 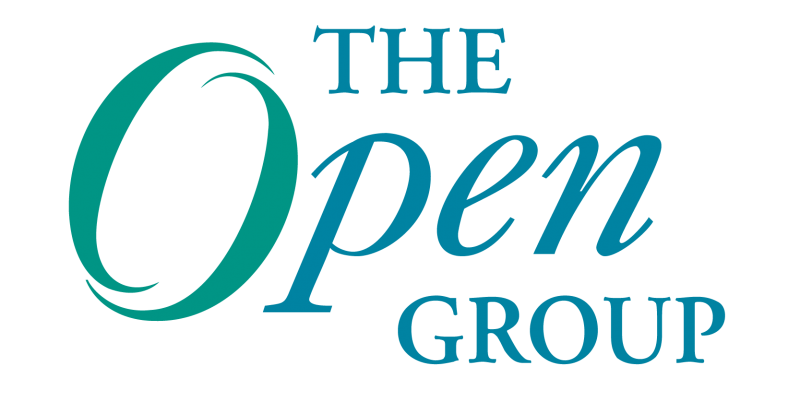 James de Raeve, Vice President, Certification of The Open Group introduced The Open Group to the executives and explained the positive impact it is creating in driving Enterprise Architecture. He noted most of the EA functions, Work Groups and Forums are driven by the participating companies and Architects associated with them. James revealed facts stating that India is in fourth position in TOGAF® certification and Bangalore is second only to London. He also discussed the newest Forum, The Open Group IT4IT™ Forum and its objective to solve some of the key business problems and build Reference Architecture for managing the business of IT. The mission of The Open Group IT4IT Forum is to develop, evolve and drive the adoption of the vendor-neutral IT4IT Reference Architecture. Rajesh Aggarwal, Principal Secretary IT, Government of Maharashtra, attended the Round Table and shared his view on how Enterprise Architecture can help some of the key Government initiatives drive citizen-centric change. An example he used is the change in policies for senior citizens who seek pension. They show up every November at the bank to identify themselves for Life Certificate to continue getting pension. This process can be simplified through IT. He used an excellent analogy of making phone calls to have pizza delivered from Pizza Hut and consumer goods from Flipkart. Similarly his vision is to get Smart and Digital Governance where citizens can call and get the services at their door. Jason Uppal, Chief Architect (Open CA Level 3 Certified), QR Systems in Canada presented a session on “Digital Economy and Enterprise Architecture”. Jason emphasized the need for Enterprise Architecture and why now in the networked and digital economy you need intent but not money to drive change. He also shared his thoughts on tools for this new game – Industrial Engineering and Enterprise Architecture focus to improve the performance capabilities across the value chain. Jason explained how EA can help in building the capability in the organization, defined value chain leveraging EA capabilities and transforming enterprise capabilities to apply those strategies. The key performance indicators of Enterprise Architecture can be measured through Staff Engagement, Time and Cost, Project Efficiency, Capability Effectiveness, Information Quality which explains the maturity of Enterprise Architecture in the organization. During his talk, Jason brought out many analogies to share his own experiences where Enterprise Architecture simplified and brought in much transformation in Healthcare. Jason shared an example of Carlos Ghosn who manages three companies worth $140 billion USD. He explains further the key to his success is to protect his change-agents and provide them the platform and opportunity to experiment. Enterprise Architecture is all about people who make it happen and bring impact. Enterprise Architecture and Agile – Do they complement? How are CIOs seeing Enterprise Architecture when compared to other CXOs? I have downloaded TOGAF, what should I do next? How is Enterprise Architecture envisioned in the next 5 years? How can Enterprise Architecture help the “Make in India” initiative? Should Enterprise Architecture have a course in academics for students? I explained how Enterprise Architecture is relevant in academics and how it can enable the roots to build agile-based system to quickly respond to the changes. I also brought in my perspective how Enterprise Architecture can show strengths while covering the weaknesses. Furthermore, TOGAF applies and benefits the context of the Indian future economy. Jason explained the change in dynamics in the education system to build a query-based learning approach to find and use. Rakhi shared her thoughts based on experience associated with Department of Posts Transformation keeping a citizen-centric Enterprise Architecture approach. Overall, it has created a positive wave of understanding the importance of Enterprise Architecture and applying the TOGAF knowledge consistently to pave the road for the future. The event was well organized by Abraham Koshy and team, with good support from CSI Mumbai and AEA Mumbai chapters. 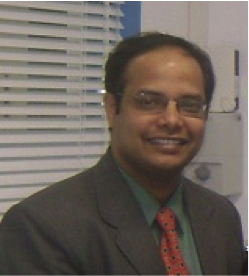 Bala Prasad Peddigari has worked with Tata Consultancy Services Limited for over 15 years. Bala practices Enterprise Architecture and evangelizes platform solutions, performance and scalable architectures and Cloud technology initiatives within TCS. He heads the Technology Excellence Group for HiTech Vertical. Bala drives the architecture and technology community initiatives within TCS through coaching, mentoring and grooming techniques. Bala has a Masters in Computer Applications from University College of Engineering, Osmania. He is an Open Group Master IT Certified Architect and serves as a Board Member in The Open Group Certifying Authority. He received accolades for his cloud architectural strengths and published his papers in IEEE. Bala is a regular speaker in Open Group and technology events and is a member of The Open Group Open Platform 3.0™.